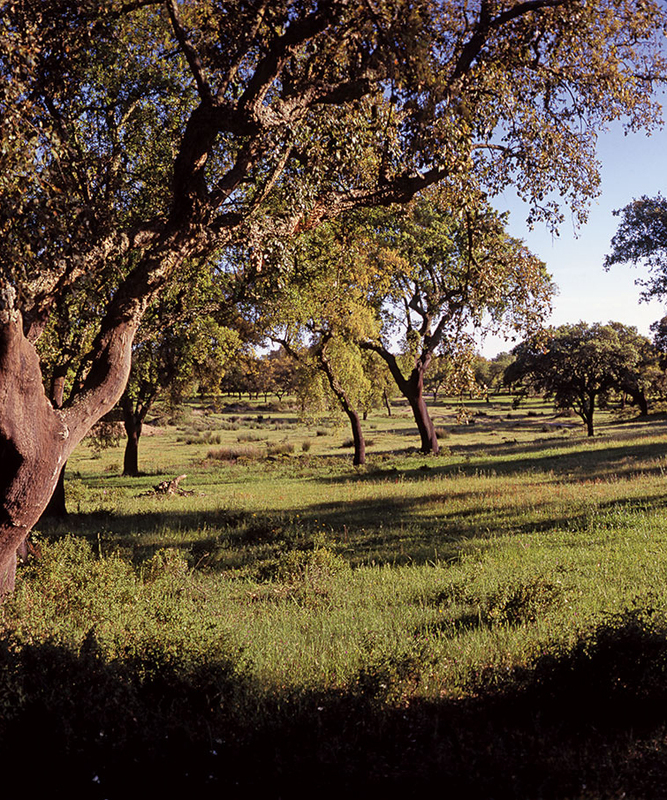 Biodiversity conservation, water balance regulation, soil protection and carbon retention, are examples of environmental services generated by forest ecosystems, of which the cork oak and cork oak forests are an example. Mediterranean ecosystems are particularly rich in species of fauna and flora, constituting biodiversity hotspots. The Mediterranean Basin has a much higher number of forest species than that found in the rest of Europe. Of these, over half are only found in the Mediterranean, making them endemic to the region. The cork oak tree is one such species. Cork oak forests are also important reservoirs of biological diversity. The cork oak tree, the key species of cork oak forests, lies at the base of the food chain, which includes insects that feed on its leaves and birds that prey on these insects. These forests also serve as a natural haven, and provide nesting and feeding grounds for several species of fauna, some with protection status. The longevity of the trees (which can live up to 200 years on average) and the persistence of the plant community’s structure contribute to the high plant diversity of the forests. Cork oak forests perform a fundamental role in regulating the water balance. Infiltration processes and surface water drainage are influenced by the presence of the trees and their root systems. The tree canopies intercept rainwater and “channel” it to the soil. The soil beneath the canopies is frequently more permeable and has a much greater capacity to retain water, and is richer in nutrients than uncovered soil, being more protected from the direct impact of the rain that, in some circumstances, could lead to soil erosion, thus contributing to regulating the water cycle. In the case of the cork oak forest, the canopy remains green throughout the year, as the leaves are progressively renewed throughout the year. The old leaves fall to the ground where they decompose and contribute to the soil's organic matter, recycling the nutrients absorbed by the plants. The main contributor of organic matter to the soil is the thin roots of the cork trees that proliferate close to the soil surface and have a short lifespan. Cork forests, due to their potential economic value, may also be crucial in forming a barrier to desertification. The increase in concentrations of greenhouse gases such as carbon dioxide (CO2) in the atmosphere is responsible for important changes in the climate. Approximately 200,000 tonnes of cork are harvested annually, with Portugal being responsible for around half of the world’s cork production. Approximately 1/3 of all cork harvested is transformed into stoppers. As a natural vegetal product, cork retains carbon by means of photosynthetic assimilation of carbon dioxide (CO2) from the atmosphere. Part of this carbon is used in the plant’s metabolism. 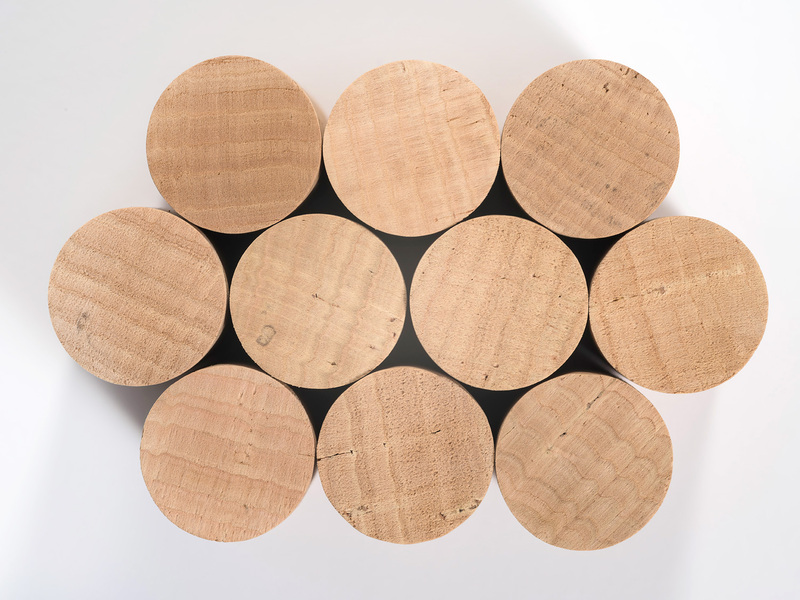 Manufactured cork products will continue to retain carbon (equivalent to half of the dry weight of each stopper). This function only ends with the return of the carbon to the atmosphere in the form of CO2. This retention of carbon contributes to mitigating the effects of greenhouse gas emissions. 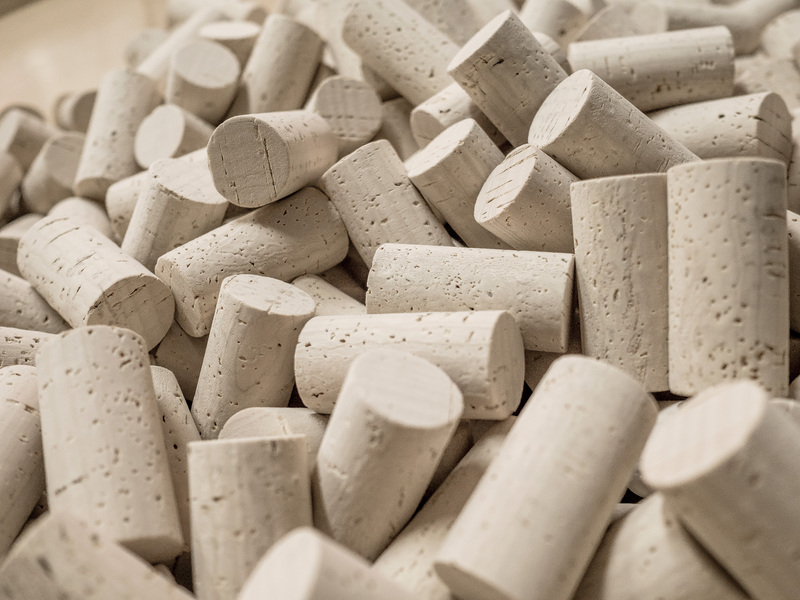 Compared to the production of other closures, with respect to greenhouse gas emissions, the production and use of each cork stopper results in 10 times less CO2 emissions than the production of a plastic stopper, and 24 times less than production of an aluminium screw cap. In addition to this, and contrary to forests exploited for wood production, where trees are felled, the commercial exploitation of cork does not require the felling of trees, leaving the trees intact. Only the cork from the trunk and thick branches is extracted every 9 years. This represents a minute proportion of the total productivity of the trees (1%). Harvesting such a small proportion of the total cork tree stock does not alter the forest structure or physiology of the trees. In short, cork stoppers are natural products whose extraction, aside from not affecting the ecosystem processes, allows cork oak forests to provide essential ecosystem services. Careful management and adequate added value of these services are essential for their sustainability and to maintain the benefits generated for society.